Gone are the days of little learners entering the classroom, taking supplies from their back packs, and sitting down to a morning worksheet. Educators are becoming more and more aware of the benefits of a soft start to the day. Morning tubs are the perfect way to provide a soft start that your little learners will love. There are various approaches to morning tubs. They can be open ended or have a specific result in mind. They may be STEM or STEAM activities or other academic tasks. They may or may utilize recording sheets. For morning tubs I prefer not to use recording pages. I have found that with differing arrival times many students may not have time to complete the recording pages. I would then have to decide if they should be required to complete it later. I think requiring them to complete the recording pages later makes the morning tub just another assignment. At some point that makes the morning tubs no longer a soft start. I think that allowing them to leave the recording page unfinished unwittingly sends the message that the morning tubs are not important. Plus it could reinforce poor work habits for learners who already experience difficulty completing written assignments. I decided that I wanted morning tubs to be a positive way to start the day with opportunities for social interaction, fine motor development, and stress free academic tasks. 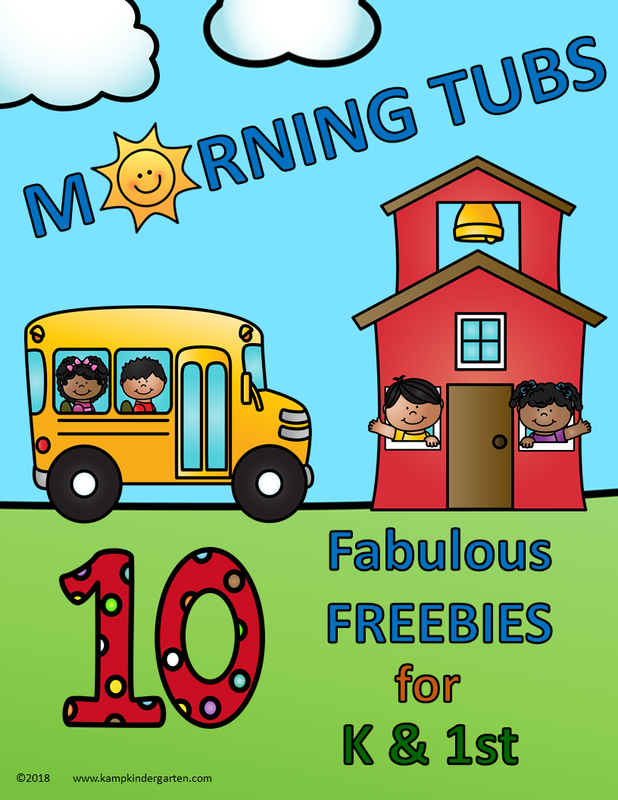 Here are links to 10 Fabulous Freebies for Kindergarten and First Grade Morning Tubs! 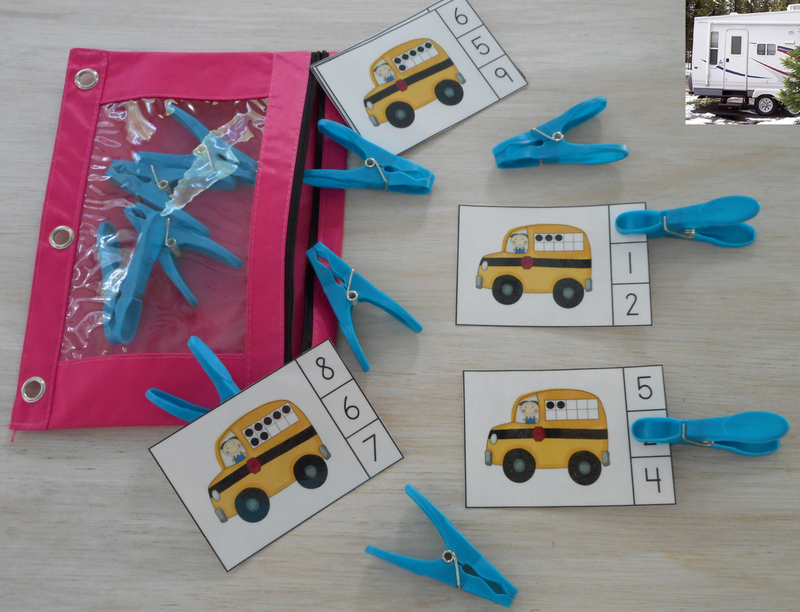 These fun clip cards have ten frames for bus windows. 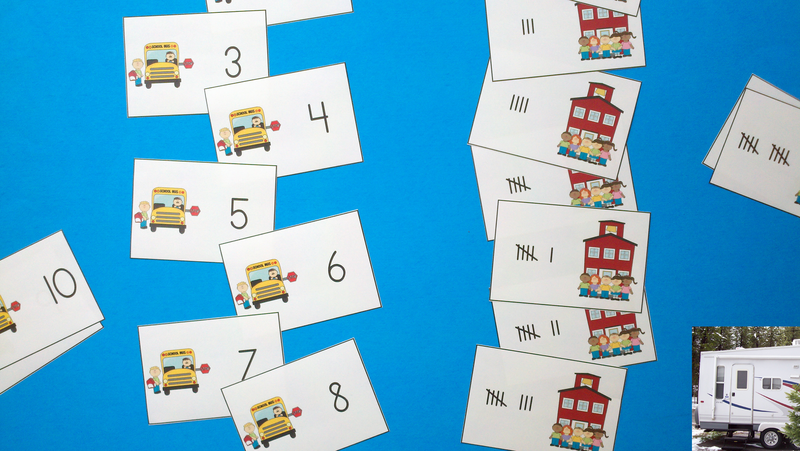 Little learners select the correct numeral (0 – 10) for the ten frames on the bus. They are great for Back to School but can be used at any time during the school year. Click HERE. These cards allow little learners to match numerals (0 – 10) to a tally marks representation of the quantity. This activity can also be used as an ordering activity to put the cards in numerical order. They can be used as a Back to School activity or at any time during the year. Click HERE. 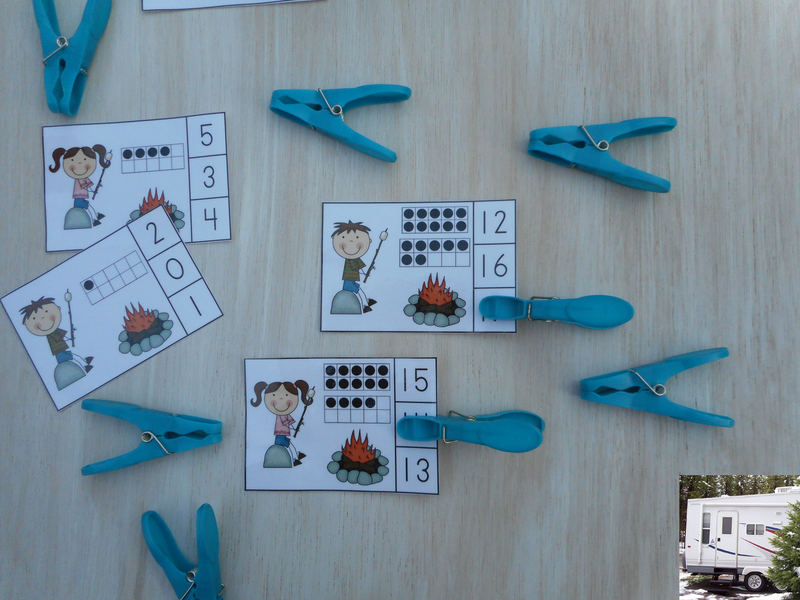 Your little happy campers select the correct numeral (0 to 20) for the quantities represented by the ten frames on these camping themed clip cards. 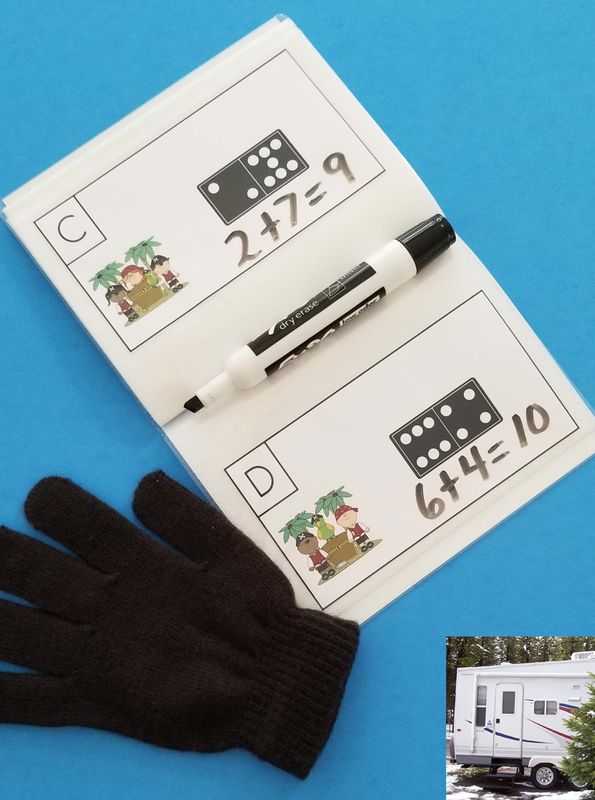 They are a fun math activity for a classroom camp out day, but can be used at any time during the year. Click HERE. 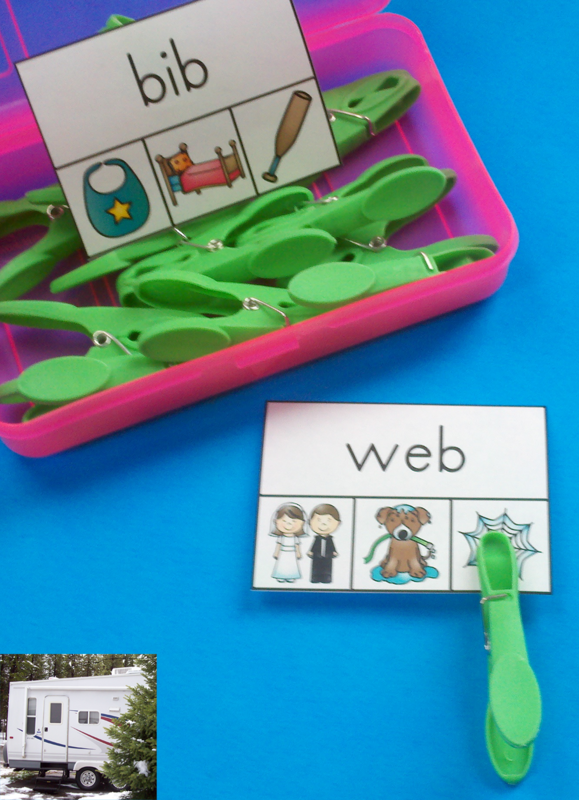 Around the Room activity cards can be adapted to use in Morning Tubs. 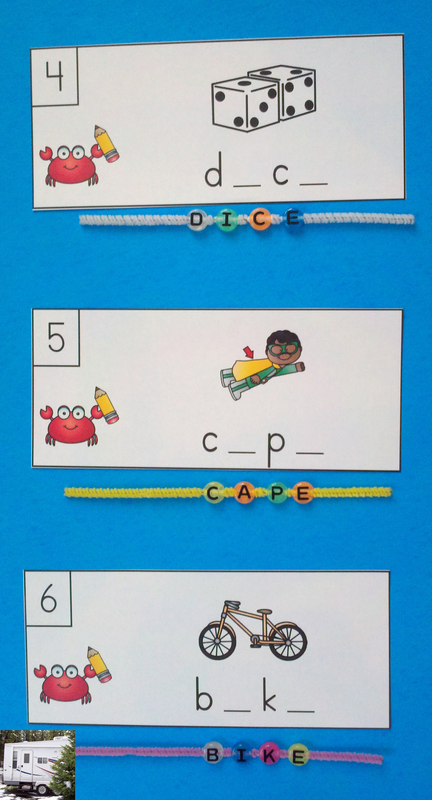 Little learners thread letter beads on chenille stems (pipe cleaners) to spell the CVCe Words from this ocean themed Write the Room activity. An optional recording page is included. Click HERE. 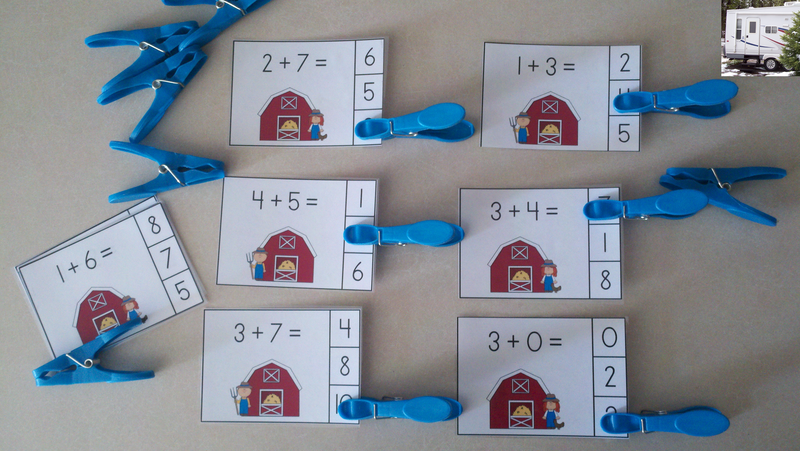 Little learners select the correct sum on these farm themed addition clip cards. An optional recording page is included. Click HERE. These clip cards have CVC words printed at the top. Little learners select the picture that corresponds to the CVC word. Click HERE. Task cards can be placed in 4 X 6 dollar store photo albums to make dry erase Write & Wipe activities. Use an inexpensive black glove as an eraser. Cards from this pirate themed Domino Add the Room activity make a great Morning Tub Write & Wipe math addition activity. They are perfect for Talk Like a Pirate Day, but can also be used at any time during the year. Click HERE. 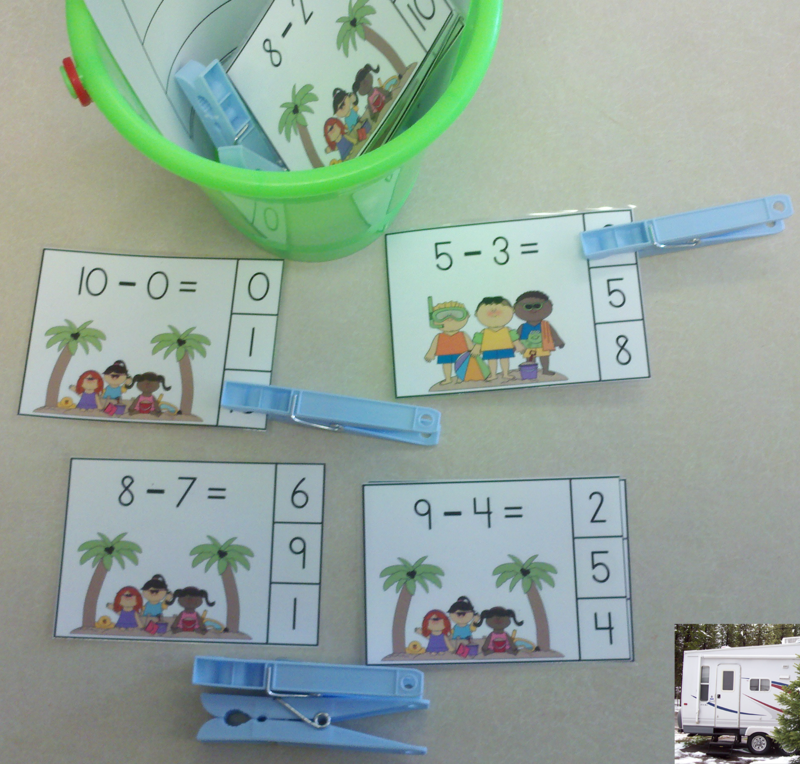 Little learners select the correct difference in this beach themed subtraction clip card activity. An optional recording page is included. Click HERE. 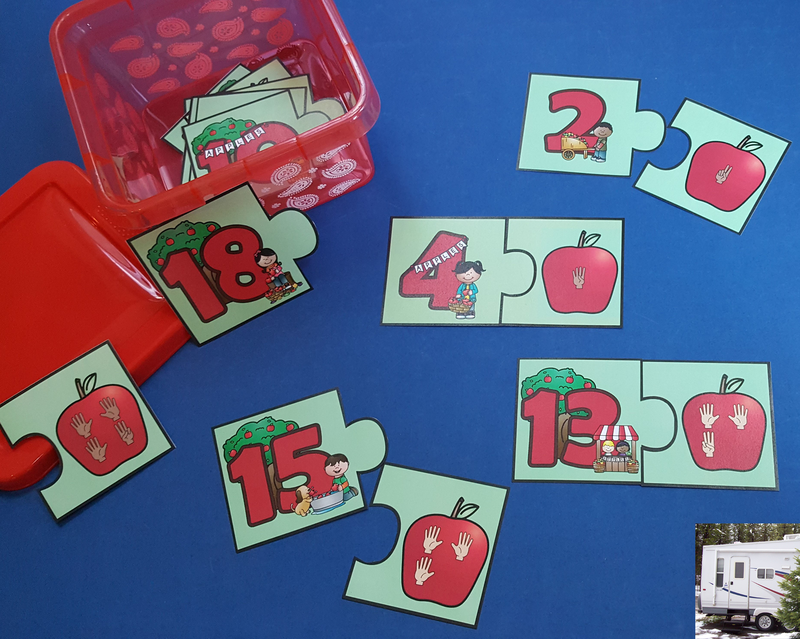 These apple number puzzles are a fun number sense activity for numerals to 20. Little learners match numerals to quantities represented by counting fingers/hands. These puzzles work well with autumn/fall, farm, harvest, or apple themes, but can also be used at any time during the year. Click HERE. Write letters on seashells or other objects to make words for Spell the Room activities. 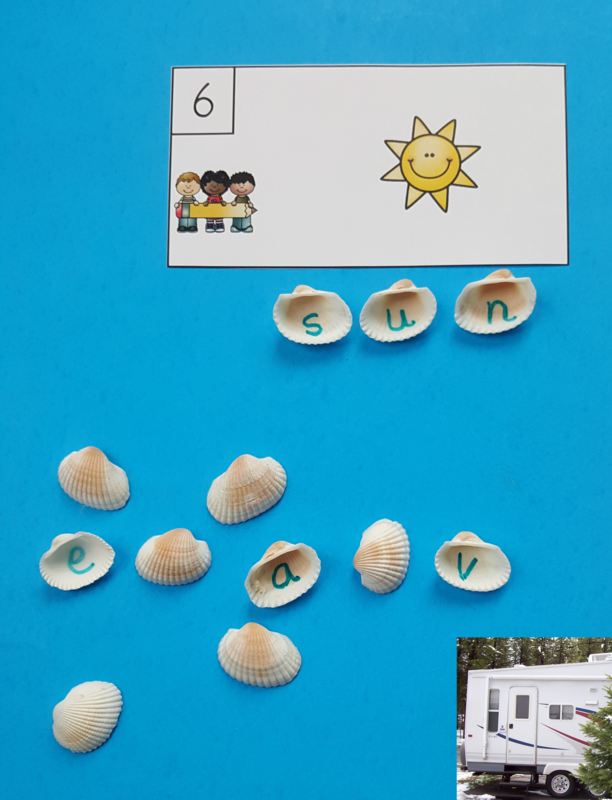 Cards from this CVC Spell the Room resource can be used with lettered seashells to adapt this ELA Around the Room activity for Morning Tub use. Click HERE. Helpful tip: The marks will not come off the seashells. Please keep that in mind when selecting seashells for lettering. I hope you and your learners enjoy these morning tub activities.